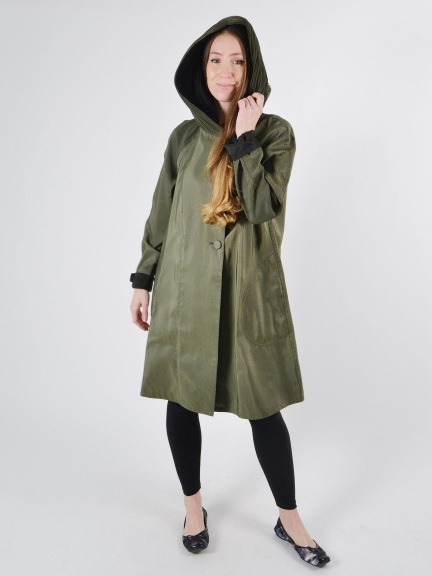 This stylish rain jacket is reversible in a lightweight water resistant blend, and falls in a knee-length, A-line silhouette. Complete with an update on the signature convertible pleated hood that features smaller, more fluid pleats. Pockets at hip. Buttons at cuffs for preferred fit. The color Twilight/Nite is available in any out-of-stock size as a Special Order, estimated to ship on June 18th for orders placed today.